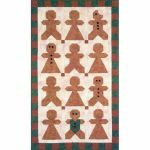 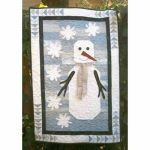 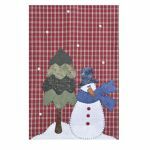 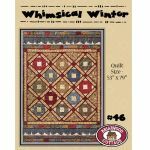 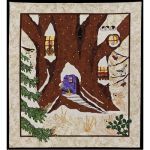 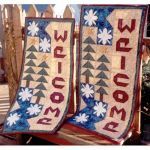 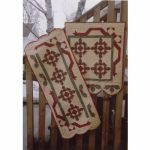 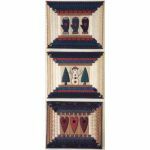 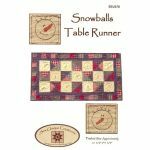 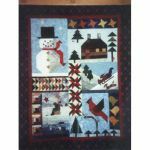 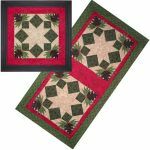 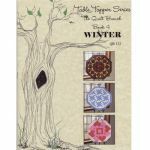 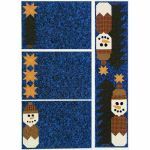 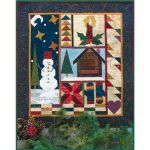 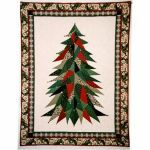 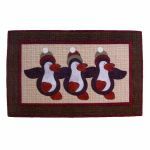 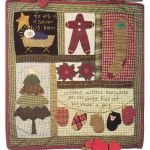 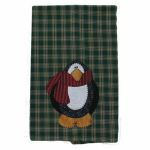 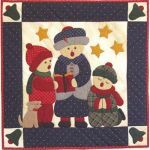 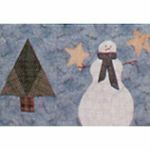 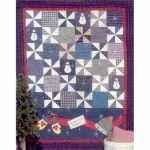 Pick your favorite of the four seasonal appliques to make this easy wall quilt or runner. 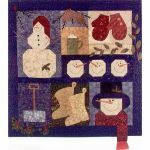 Scrappy squares are strip pieced while the applique is fusible machine applique. 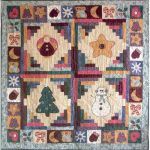 Finished wall quilt measures 51.5" square and the table runner is 20.75" x 46.25". 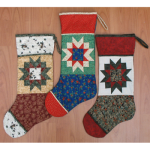 Celebrate the magic of the holiday's with projects that twinkle. 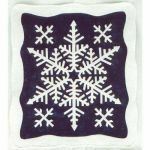 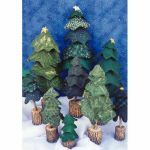 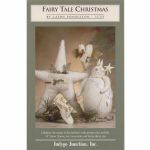 14" Snow Queen, two ornaments and home decor star. 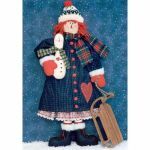 A collection of whimsical folk art for decorating "All throught the house..." includes a pillow, a skate hanger, and a stocking with mouse. 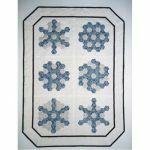 English paper piecing creates these crisp snowflakes. 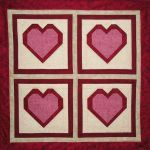 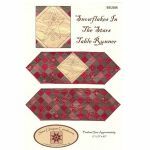 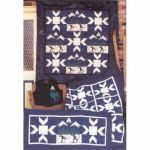 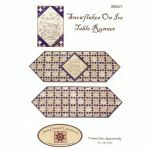 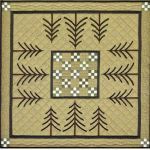 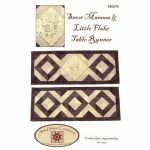 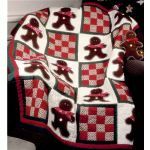 Make one block for a pillow, six for a wall or lap quilt or 30 blocks for a bed quilt. 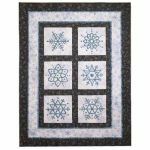 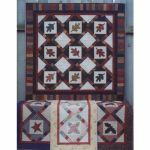 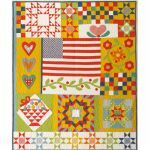 Obtain the timeless flower garden look without all the background piecing.Size: 35''x49'' wall or lap quilt, 14'' pillow or 80''x94'' bed quilt.